You know this by now, no meeting or event is carried off by a single person. You need the help of others to make any event successfully come together. But have you ever thought about who these people, or group of people, are that make your meeting possible? Below is my list of critical “peeps” you need in your corner. This is the individual who is going to give you a “thumbs up” or “thumbs down” on the training seminar, sales meeting, or product launching event. They are the one who has to approve your budget, push you to think through your problems, and help you navigate the approval process. Let’s be real right now…no attendees, no meeting. You need to get them to your event and with so many competing forces at work, including virtual meetings, reduced workforce, and opportunity costs, event planners need to deliver valuable content at a worthwhile price point. You need to make sure you do everything possible to make your speaker successful and in turn, the speaker must be engaging to your attendees. Create an event audio visual rental checklist and make certain you know exactly what your speaker needs from you. The speaker needs to be there early to test the equipment. Invite your presenter to come to the conference early and stay late. Only hire engaging, stimulating, and creative presenters. Your team is critical to the success of your event, whether it be your paid staff, suppliers, or volunteers. Having a team of individuals focused on your goals and objectives is paramount to any planner’s success. Providing clear direction with each member of the team and giving them accolades for doing a great job can create the positive energy every event organizer strives for. The AV Technician is on site to make certain that all the AV equipment works properly, set up and strike the rental units, and run through and maintain the PowerPoint presentation equipment with each speaker. They are usually in the back of the room handling the sound and lighting rentals as well. 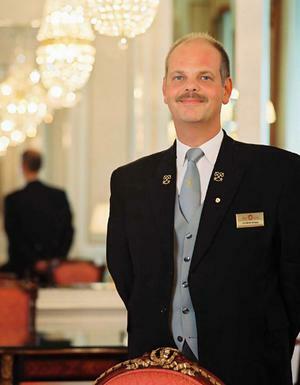 The hotel or conference services staff are a vital part of your team. Everything from the parking lot to the restrooms sets an image and tone for your meeting. Having a partner that understands the importance of guest service to your group will help you be successful with the attendees and your management team. AV Event Solutions wants to be one of your peeps! Please check out their website for more information about their interesting product offerings and services.